Misty Upham, (a Blackfeet Native and direct descendant of Chief HeavyRunner) was born in Montana, U.S. on the Blackfeet reservation. She discovered her love of acting at age 12. After her family moved to Seattle, Washington she immediately took advantage of the local theater and quickly rose to join the top classical and contemporary companies of the Northwest United States. Her love of European history was the driving force behind her medieval and Shakespearean training. A fan recorded one of her performances and sent it to Hollywood. Within two weeks she had her first agent and movie role in Native director Chris Eyre's sophomore project “Skins.” After roles with the BBC's “Auf Wiedersehen Pet”, ABC's “Dreamkeeper” and Showtime's “Edge Of America”, Misty took a chance on a short-film written and directed by Courtney Hunt called “Frozen River” and co-starring academy-award winner Melissa Leo. The short became a feature film that received the Grand Jury Prize at Sundance '08, won numerous awards around the world, and was nominated for several Academy Awards. Misty received an Independent Spirit nomination for best supporting actress in “Frozen River” pitting her up against Penelope Cruz, Debra Winger, Rosie Perez and Rosemarie Dewitt. After a guest-starring role on HBO's “Big Love”, Misty was approached by the accomplished French director Arnaud Desplechin and producer Jennifer Roth to play Benicio Del Toro's love interest in “Jimmy P: Psychotherapy Of A Plains Indian”, which premiered at the 2013 Cannes film festival. The film, about a Blackfeet war veteran with ptsd, would bring Misty full circle to film on the reservation she left to seek her dream. Misty just completed the project, “Without Fire” based on the true story of a young Navaho teen who invented a solar-powered heater to save his asthmatic mother. As she looks for her next project Misty is busy with humanitarian work and recently attended the Women Of The World summit in NYC with Ai-Jen Poo, Meryl Streep, America Ferrera, and Hilary Clinton. 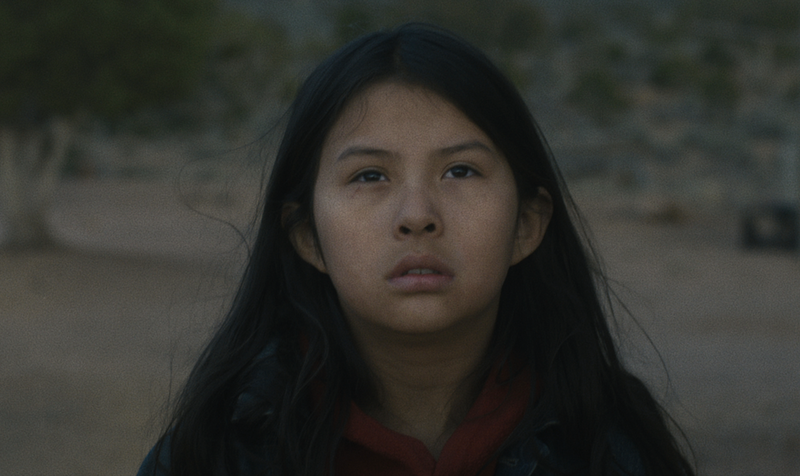 At 10-years-old Magdalena Begay helmed the role of Hunter in "Without Fire." She developed a love of acting at a young age and has appeared in film and television. Magdalena played the lead in Sundance Native Labs Supported film "Opal" and Sydney Freeland's short-film "Hoverboard." This year she appeared in Sydney Freeland's "Drunktown's Finest," Executive Produced by Robert Redford which made its World Premiere at the Sundance Film Festival.